Uncharted territory and adventurous paths are yours for the taking with this collection of rough-cut natural stones. 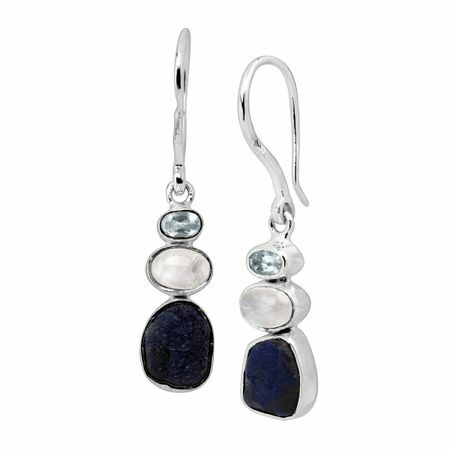 Rough deep blue azurites, pearly moonstones, and cool blue topaz are set in bright sterling silver for a breezy contrast that's ready to go wherever the road may take you. Earrings measure 15/16 by 1/4 inches and feature French wire back findings. Pieces come with “.925” sterling silver quality stamps as symbols of guaranteed product quality.